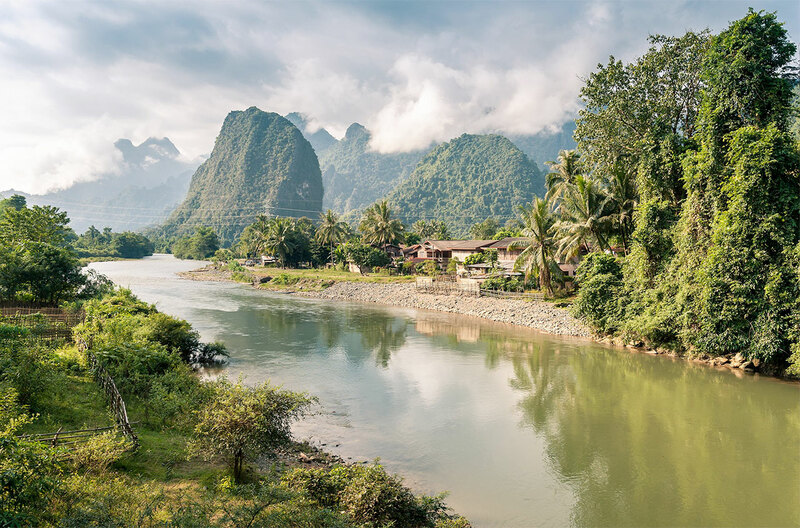 Once a popular party destination for backpackers, Vang Vieng is nowadays a top-rated destination in Laos thanks to its picturesque natural beauty of vivid green paddy fields surrounded by gorgeous limestones and also for the wide range of outdoor adventurous activities it has to offer. From mountain biking to trekking, zip lining, caving, kayaking, swimming, and rock climbing, visitors can enjoy so much more of Vang Vieng than just tubing and strolling around bars like before. 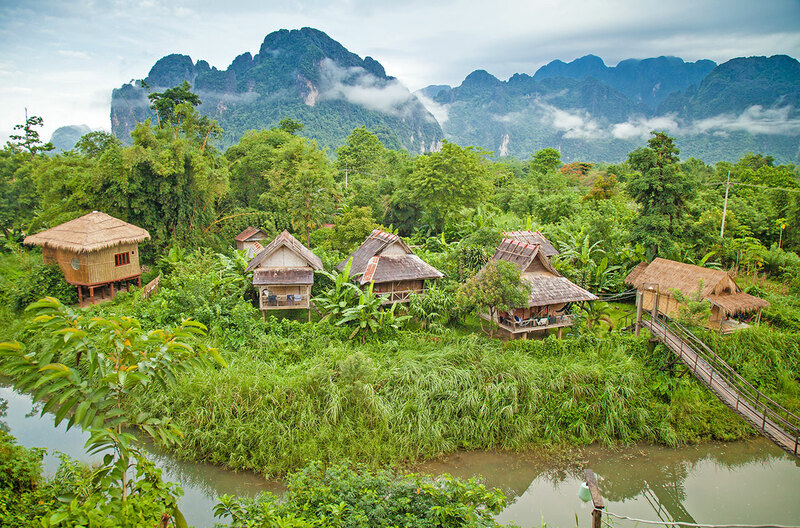 The impression of Vang Vieng has changed so much within couples of years, drawing an increasing mixture of Asian and Western tourists, coming here to experience a much slower pace of life as Laos people do. 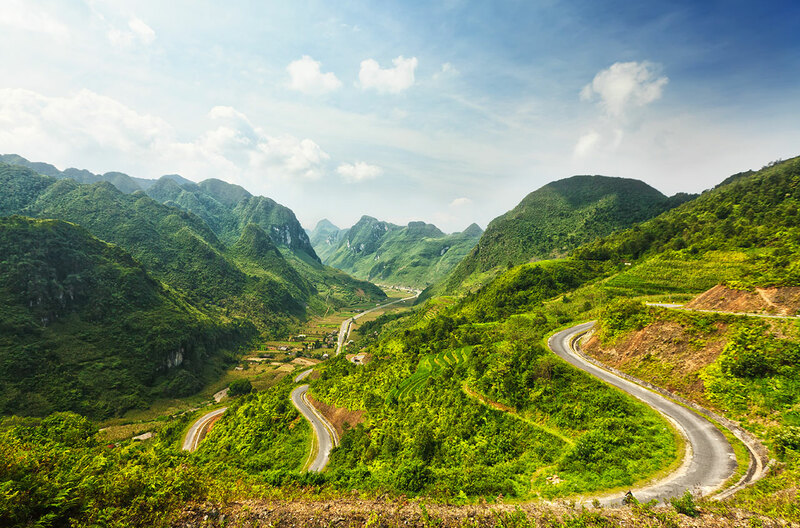 What are the best things to do in Vang Vieng? Continue reading to find out! Kayaking has turned into a very popular activity, ranging from an hour to a full day trip down the river. There are several companies in town offering kayak tours. 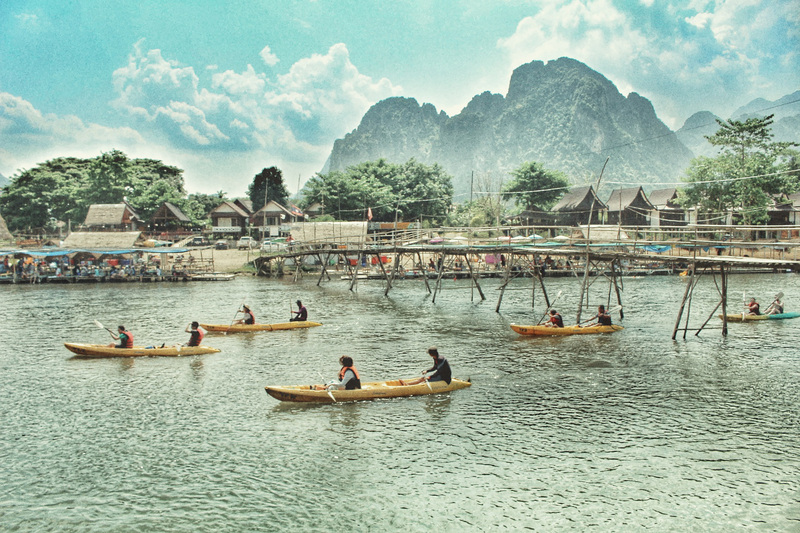 The most adventurous can make their way by kayak down the river from Vang Vieng to Vientiane. You should depart early in the morning to arrive at the capital by late afternoon. 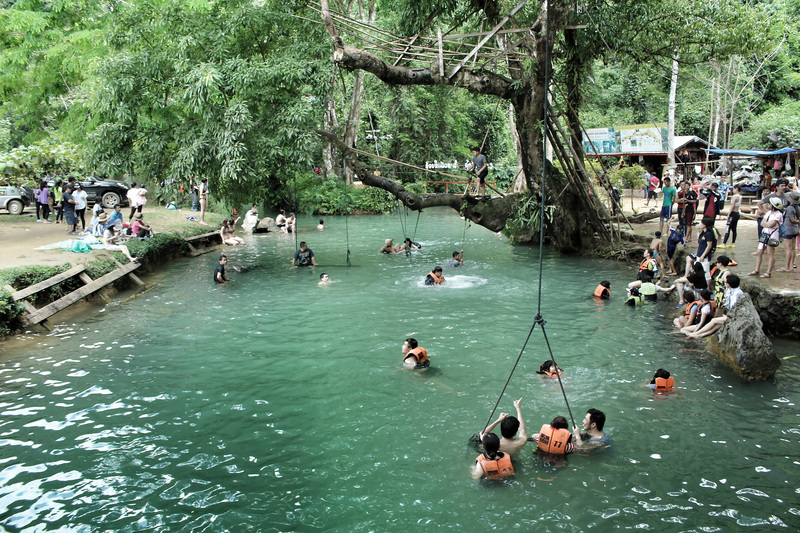 Tham Poukham or Blue Lagoon is the most famous attraction, especially during the hot and humid days in summer months. Get here early in the morning to avoid the crowds, as the place fills up quickly from noon with a bunch of tourists and locals coming for picnic and swimming. Riding from the town center to Blue Lagoon 1 (about 5 km to the West) and Blue Lagoon 3 (about 10 km further west), you will be passing by some of the most breath-taking limestone and mountain karsts surrounding the path. 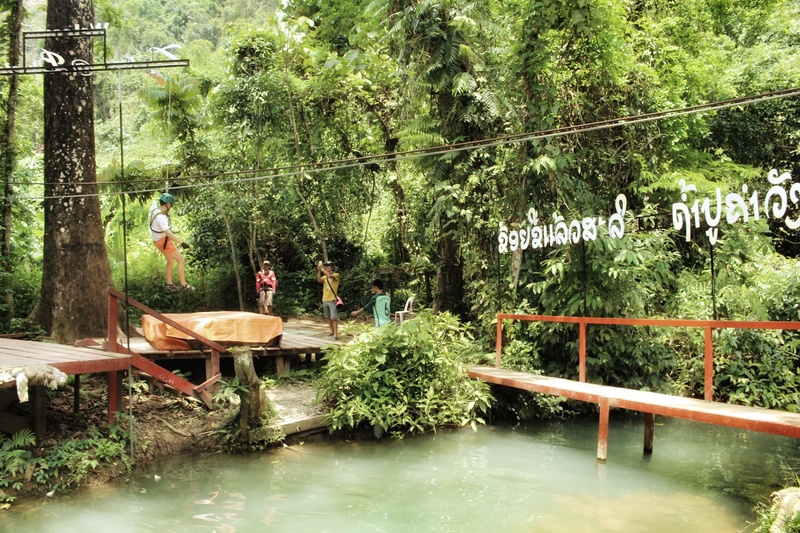 The Water Cave area, which is about 13 km up north from the town center following Road 13, has one of the longest zip lining paths in Laos. We recommend that you give it a try! 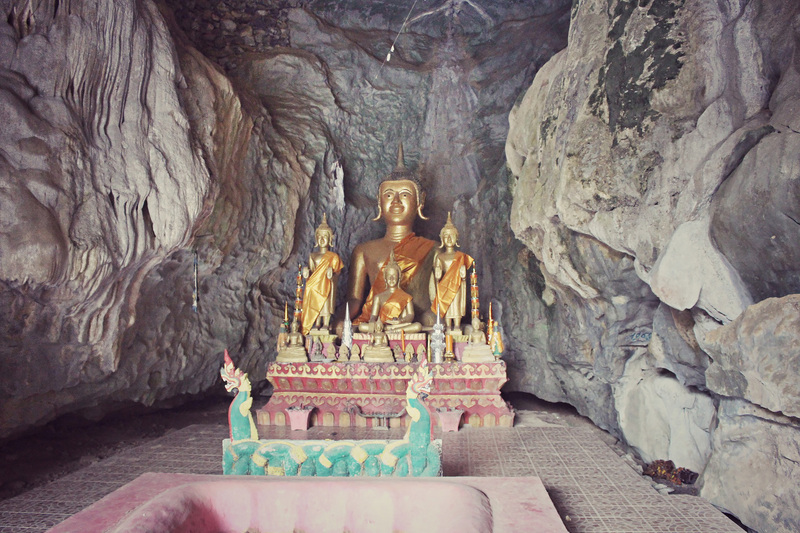 Vang Vieng is also famous for its wide variety of caves with different geographical distinction. The best ways to get around Vang Vieng and the surroundings are on foot or by mountain bike. There are several scenic routes in the area. The most common one is going to Blue Lagoon and back. Another route goes through the villages in the west of the Nam Song river, passing Blue Lagoon and numerous caves. The most adventurous one is the eastern loop, which goes over the hills. Watching sunset above the air in Vang Vieng is also a common activity, which is way much more affordable compared to riding an air balloon in Myanmar. 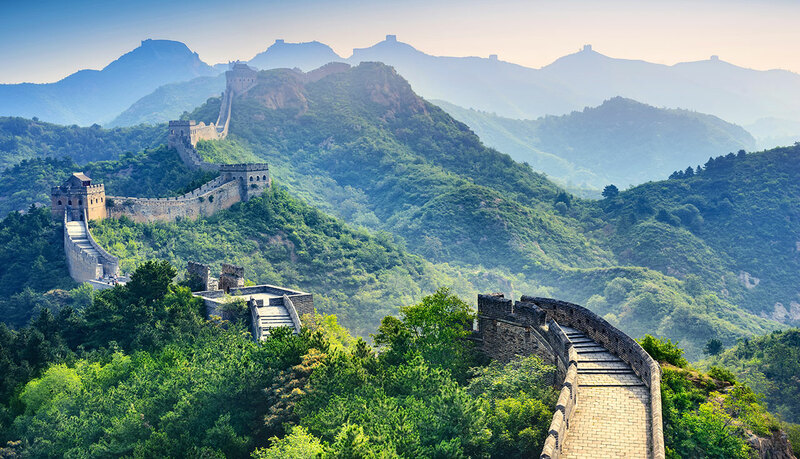 There are plenty of colorful religious temples and massive Buddha statues around to visit. It is easy to get around town and find places you will like, just let it go and enjoy the atmosphere. 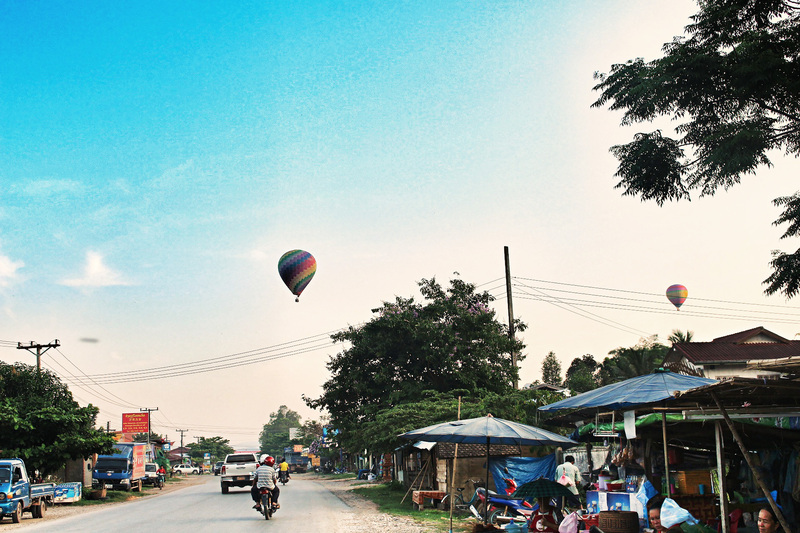 There is no airport in use in Vang Vieng, as the nearest one was previously closed down. 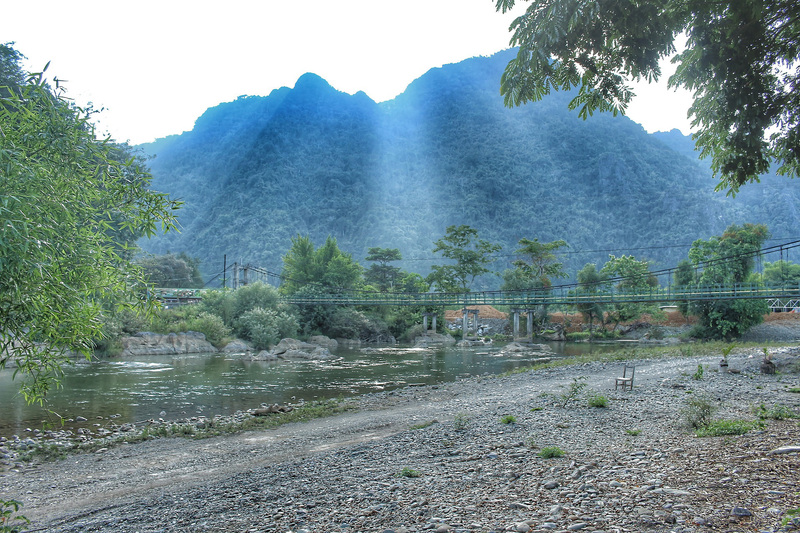 Therefore, the only way to access Vang Vieng is by road. Malany Transport operates buses and mini-vans in and out Vang Vieng, connecting this tourist hot spot with Luang Prabang and Vientiane. Baolau cooperates with multiple bus companies in Laos to serve online ticket booking in advance. Once the reservation is confirmed, customers will receive an electronic voucher that can be used to check-in at the departure point. The bus ride from Luang Prabang is about 7 hours long, whereas from Vientiane it takes only approximately 3 hours up to 4 hours. Vang Vieng is the perfect place to stop over in-between the two cities and relax for one or two days before continuing the journey. 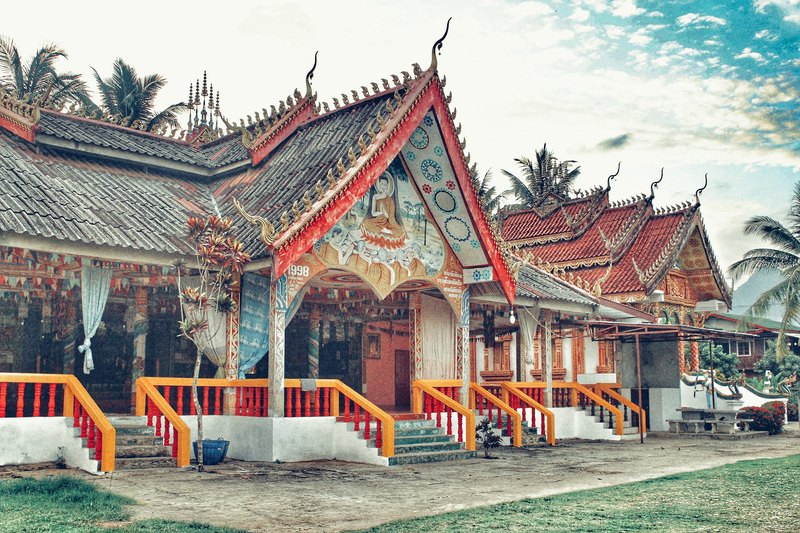 If you are travelling from other destinations, you can find more about bus routes in Laos and international flights to Laos. The most convenient way to get around Vang Vieng especially to travel a bit slower and longer here is to rent a motorbike or scooter. There’s a fixed price for motorbike rental all over town so you would not have to worry about bargaining. Be extremely careful when riding through the bridges connecting 2 parts of the Nam Song River. These bridges are old and undergo frequent reconstruction. Renting bicycle is also common, although a bit inconvenient if you wish to visit far places such as Blue Lagoon 3, Water Cave and Kaeng Nyui Waterfall. Share a tuk-tuk if you go in groups to visit caves and villages outside the town.